I read this article and found it very interesting, thought it might be something for you. 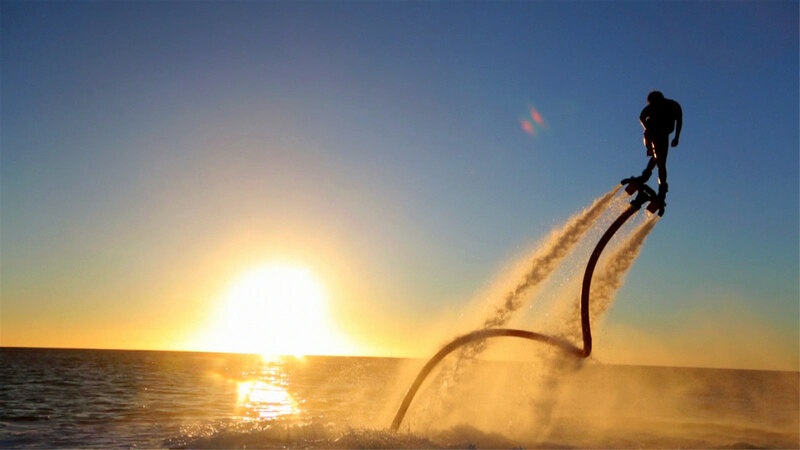 The article is called 15 Accommodations to Stay at in Marbella and is located at http://trip-n-travel.com/listicle/16553/. 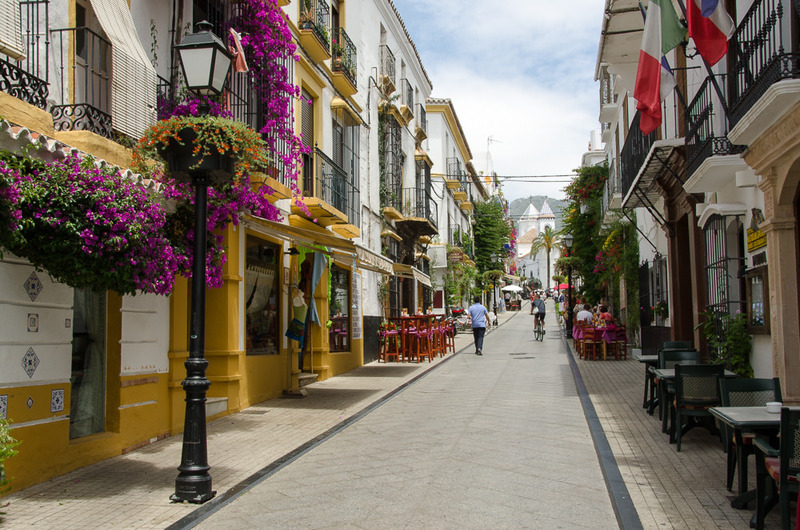 Situated on Spain’s southern coast, Marbella is a popular resort town in Costa del Sol. 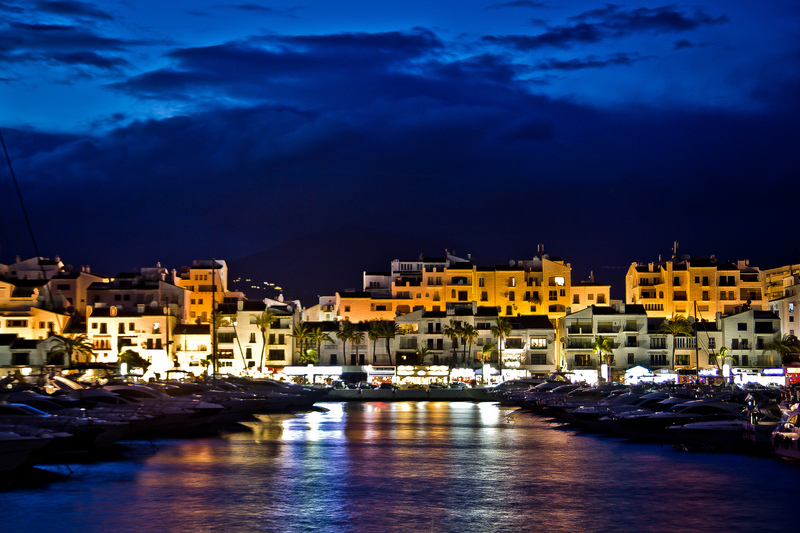 There’s no denying the beauty of Marbella and the key to a fantastic holiday here is finding the perfect place to stay. This means finding comfortable accommodations that fit your budget and are strategically located near the town’s prime destinations and attractions. Make your planning simpler with our pick of 15 outstanding hotels to stay at in Marbella. With 38 guest rooms and 78 luxurious suites, the Marbella Club Hotel is one of the most popular and extravagant accommodations in Marbella. 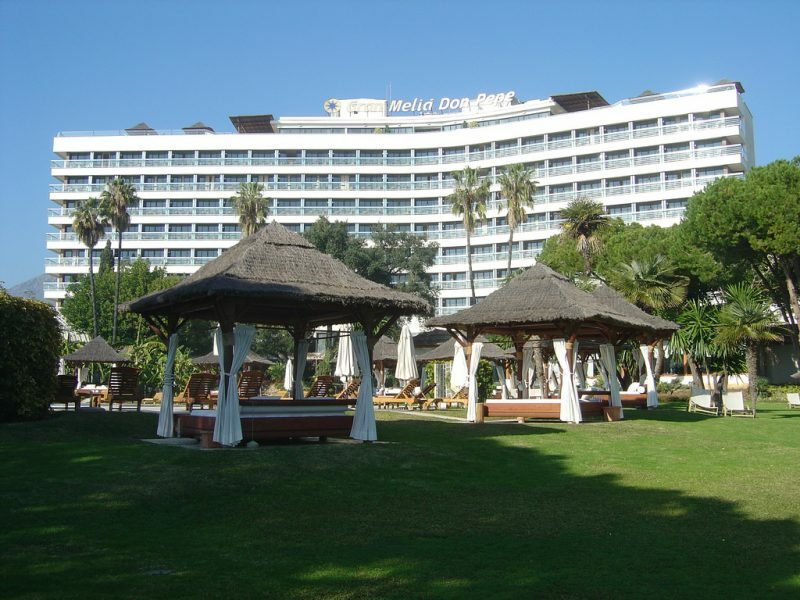 The hotel features an Andalusian theme and is surrounded by a subtropical garden enhanced by the Spanish Prince. The gardens are so beautiful that even various species of birds are now calling the gardens home. Each room offers a stunning view of the gardens and/or the Mediterranean Sea. A hotel doesn’t always have to be large to present an incredible stay and vacation. The Hotel Claude Marbella is one such hotel as it is a small and privately owned accommodation in the center of Marbella’s old town. This place is the perfect choice if you’re in search of an intimate boutique-type hotel. What makes this hotel special is that it is housed in a 17th-century mansion and townhouse featuring glorious stucco facades. A homey and casual boutique hotel, the La Morada Mas Hermosa Hotel has only 7 seven rooms to ensure that the utmost attention and service is provided for every guest. An extension of the owner’s own home, the hotel is a restored traditional home with Andalusian furniture and artwork by a family artist. All of the simple treasures and little touches in the hotel are what make it truly special and much like a home away from home. Combining Spain’s romance and tradition with modernity, style and absolute comfort, the Marriot’s Marbella Beach Resort features elegant apartments for avid travelers. The apartments come in one to three bedroom variations, all of which feature separate dining areas, living areas, kitchens, master suites and even laundry facilities. Taking it up a notch are the hotel’s ultra-comfortable bedding and free Wi-Fi. The convenient beachfront location just makes this hotel even more epic. For a five star, beachfront hotel that caters to a more reserved budget, tries the Vincci Seleccion Estrella del Mar. It is situated in Elivria-Las Chapas, one of the top beach destinations in Marbella, and truly is a jewel of the coast. The hotel itself features a modern Mediterranean style of architecture with Arab influences found in all of its 137 rooms and suites. Stylish and elegant, a stay here will be one for the books. Conveniently located near the Orange Square, the Marbella Marina and Playa de la Bajadilla, the Hostal El Castillo offers budget accommodations for the savvy backpacker and frugal traveler. All rooms are kept clean and maintained well, and the multi-lingual staff and concierge are kind and attentive. This hostel also has a coffee shop and cafe for quick and easy dining solutions when you’re too lazy to find somewhere to eat. 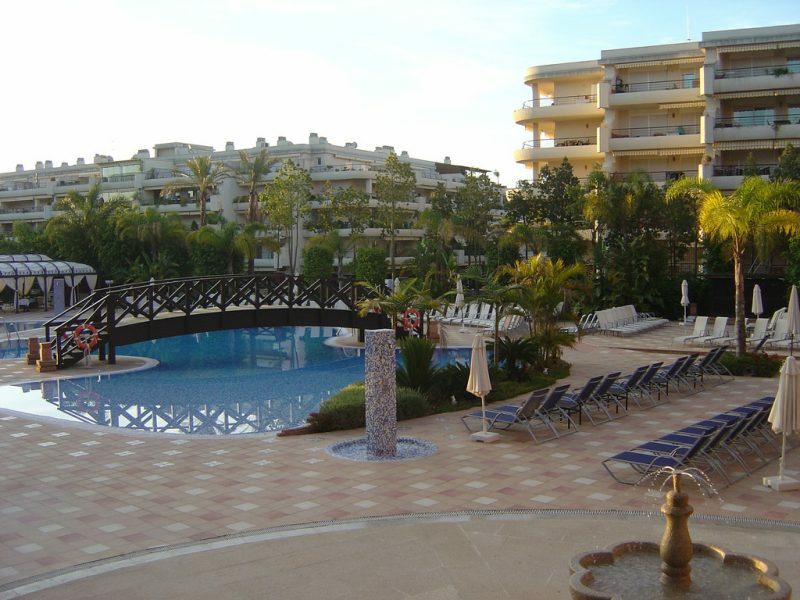 Gran Melia Don Pepe is a luxurious beachfront hotel nestled in the center of Costa del Sol. Patrons immediately fall in love with the surrounding landscape of the hotel as it is surrounded by the breathtaking Sierra Blanca National Park. The resort itself is equally gorgeous as rooms offer incredible views of the sea and amenities are kept immaculate by the attentive and professional staff. The Gran Melia Don Pepe is also known to have an extensive list of famous clientele such as Eva Longoria, Sean Connery, Prince, and other politicians and business moguls from every corner of the globe. 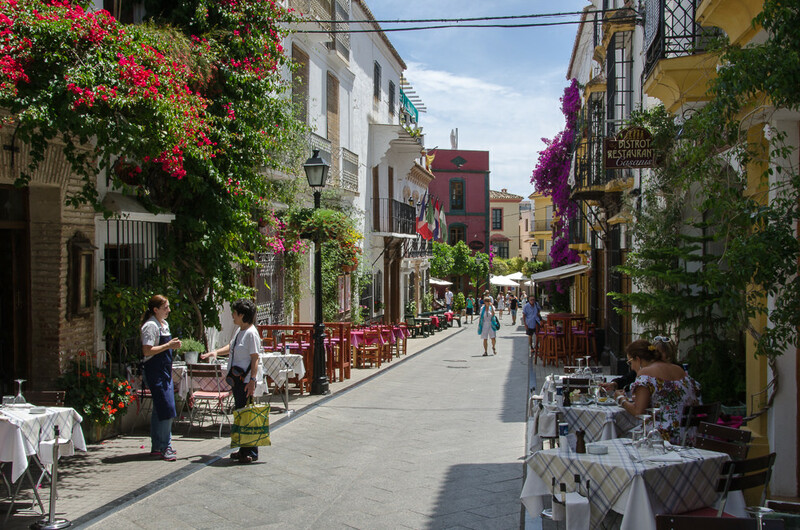 Known for it’s special concept and lodging, the La Villa Marbella is a luxury accommodation housed in a nearly 200 year old Spanish home in the Marbella’s Old Town. The neighborhood is quiet and peaceful, making the hotel a tranquil paradise for those who just want to get away from the stresses of the world. The hotel is also conveniently located and is just a few minutes walk from the Old Town’s top attractions. Comfortable, convenient and clean, the Hotel Don Alfredo provides great value for money and affordability in the center of a tourist mecca. A stay at this hotel offers fantastic views of the old town and even let’s you glimpse at beautiful castle walls and a majestic landscape. Though the hotel is quite basic, its service, location and maintenance is undoubtedly at par with other hotels. A stay at the Puente Romano Beach Resort is like transporting yourself to a charming and idyllic Andalusian village. The resort gives off the illusion of seclusion so you can enjoy your vacation without worries, while the opulent amenities of the resort encapsulates the best of sub-tropical and botanical environments. The resort features an indoor pool, large outdoor pools, a tennis court and a relaxing beach front. As one of the top rated hotels on Trip Advisor, it’s unsurprising that the Marbella Heights Boutique Hotel is so popular. With only five themed rooms to choose from, the Marbella Heights guarantees a cozy and intimate vacation with unbeatably comfortable accommodations. Live like kings and queens on your getaway and enjoy lazy afternoons by the beach. There’s nothing Hostal Berlin does better than comfortable and stylish accommodations at low and affordable prices. Situated just a short walk away from the Old Town, Bajadilla Beach and Venus Beach, this guesthouse is a favored place to stay for savvy travelers and young vacationers. The fantastic amenities of Hostal Berlin are sure to make you feel at home. There’s something very magical about the Amare Marbella Beach Hotel, an adult only hotel at the Spanish-Mediterranean coast. Conveniently located close to Marbella’s old town, the hotel is a beach front heaven with stunning rooms and impeccable features. Chill out by the beach during the day with an unbeatable cocktail, party all night, then retire to an opulent room after it all. Enjoy a relaxing vacation at the Barcelo Marbella Hotel, one of the most popular hotels in the city. All of the rooms are spacious and well decorated, while the bathrooms come equipped with hydromassage baths. One of the features of the hotel is the 45-hole Guadalmina Golf Club next door which makes a beautiful scenery from the hotel room balcony. The Hotel Lima Marbella boasts having one of the best value for money hotels in town. Guests will find that the hotel is conveniently located in the heart of Marbella with beaches and other attractions easily walked to. Also nearby are great places to enjoy the town’s nightlife and soak up the culture. With so many incredible hotels just waiting to be discovered, we have no doubt that finding the perfect accommodations for your trip is just no more than one click away. Take your pick amongst the various boutique hotels, luxury accommodations and budget guesthouses, make that booking and have the time of your life in Marbella.